Lifelike Boar head prop to hire and mounted just as you'd expect to see in any fine old English castle. 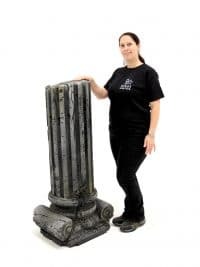 Prop comes on freestanding plinth and will be mounted to a trophy board (not shown) when hired for your themed medieval party event. 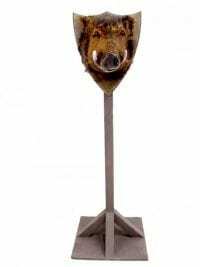 We have a number of other suitable mounted animal head props within our medieval themed prop hire section. Bond men filmstrip prop to hire. 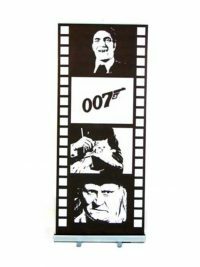 The filmstrip depicts iconic 007 Bond actors from the past and present: Sean Connery, Roger Moore, Pierce Brosnan and Daniel Craig. 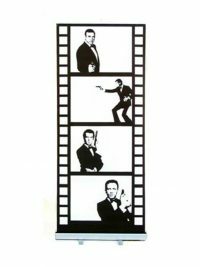 These filmstrips are freestanding and are a cost effective event prop that will add impact to your 007 Bond themed event or party. Bond villains filmstrip prop to hire. This filmstrip depicts iconic villains from the past:Jaws, Blofeld and Goldfinger. 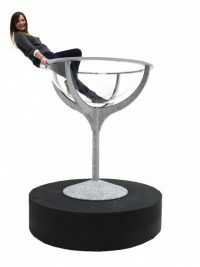 The filmstrips are freestanding and are a cost effective event prop that will add impact to your 007 Bond themed event or party. 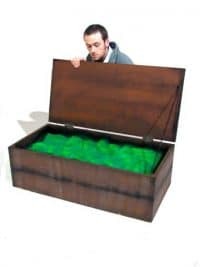 Wooden box of Kryptonite to hire. Perfect for any superhero themed event. 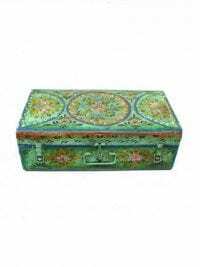 Kryptonite is fixed in the box and box has a closable lid. 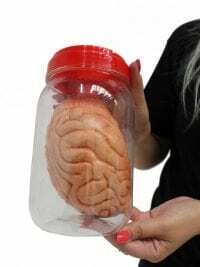 Brain in a Jar for hire. 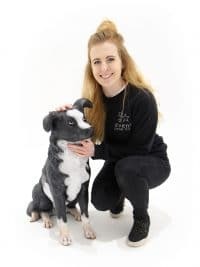 This Brain is one of a number of smaller items that will really help to finish off the styling for your Halloween or Hell themed event or party. 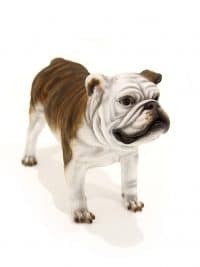 This is a stunning prop that will add authenticity to your Gentleman’s Club theme or a touch of vintage to your event. Please note that this is a prop only and does not contain all the working parts for actual star-gazing! 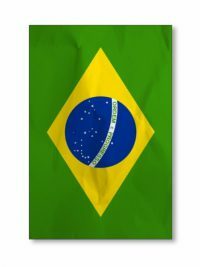 The perfect prop to hire for any Brazilian, Rio or Carnival themed event or party. 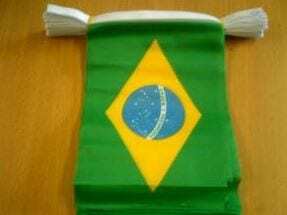 Brazilian Flag Fabric Bunting to hire. The perfect prop hire for any Brazilian, Rio or Carnival themed event or party. Drape it anywhere to help really set the theme! Brightly Coloured Skull for hire. 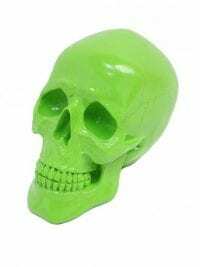 This ornamental brightly coloured skull is a fantastic filler prop for all manner of Halloween, Carnival or Pirate themed events. Brit Pop Guitar Table Centre to hire. 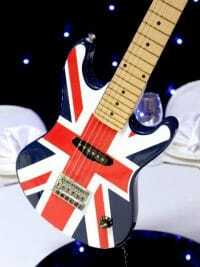 Celebrate your 'Cool Britannia' theme party and all things 90's with our Union Jack Brit Pop Guitar Table Centre; it's just like Noel Gallagher's! Believe it or not, this guitar is a real guitar too! Please note that the hire price is for the Brit Pop Guitar table centre only and that the mirrored disc is available to hire separately. 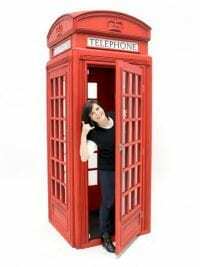 Traditional Red British Post Box prop to hire. This prop is perfect for any British themed event or party, or Christmas party for all those kids posting their letters to Santa. 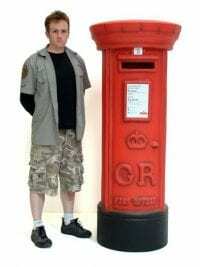 Our traditional British Postbox prop is fully 3D and hollow inside so letters can be posted through. No key is required to retrieve your post; simply lift the post box up and it’s all there for you! British Queen's Guard prop to hire. 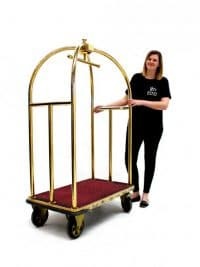 Perfect for any British themed event or party, this prop to hire will give your event a regal quality by placing our 3D Life Sized Queen's Guard at the entrance to your event. Like the guards at Buckingham Palace we can guarantee they won't move! 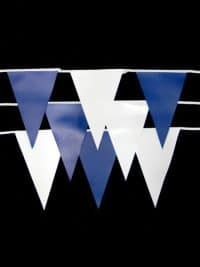 Bunting in Blue & White for sale. This is perfect to help your event theming & decoration for any Nautical or Seaside themed event or party! 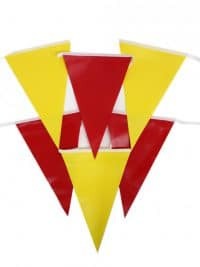 The bunting is a high quality, durable PVC fabric with each triangle measuring 30cm high by 20cm wide. There are 60 pennants per length. 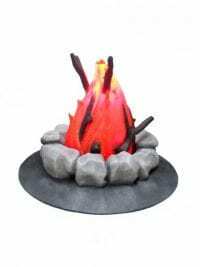 The price quoted is per 25 metre section. Please note that this is a sale price not hire price. 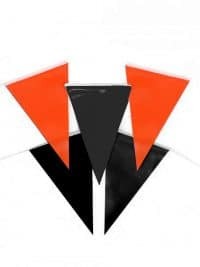 Orange & Black bunting for sale. 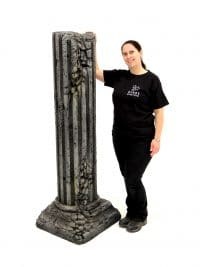 This is perfect to help your event theming decoration for any Halloween or Autumn themed event or party! 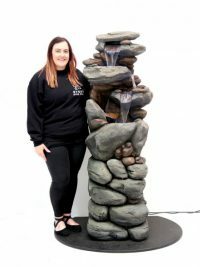 This is perfect to help your event theming & decoration for any Charlie & the Chocolate Factory or Wizarding themed event or party! Bunting in Red & Yellow for sale. This is perfect to help your event theming & decoration for any Circus or Superheroes themed event or party! 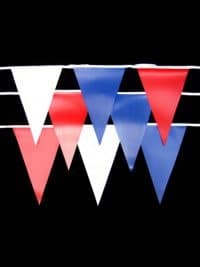 Bunting in red, blue and white. Perfect event theming decoration for any Independence Day, VE Day or British themed event or party! 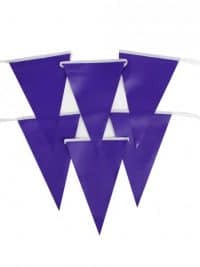 The bunting comes in a durable PVC fabric with each triangle measuring 27cm tall by 26cm approximately. 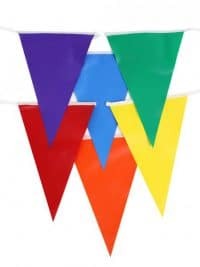 Multi-coloured bunting in purple, green, blue, red and orange for sale. This is perfect to help your event theming decoration for any Alice in Wonderland or Carnival themed event or party! 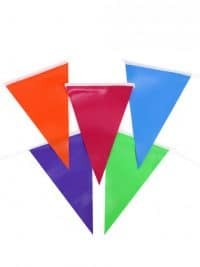 Bunting in the Pride colours of red, orange, yellow, green, blue & purple for sale. 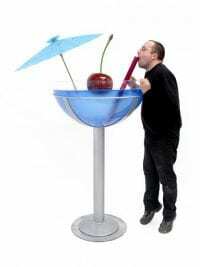 This is perfect to help your event theming & decoration for any Carnival themed event or party! 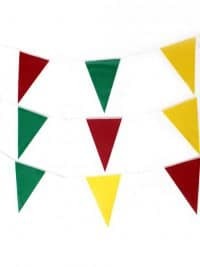 Bunting in red, yellow and green. Perfect event theming decoration for any Caribbean or Beach themed event or party! 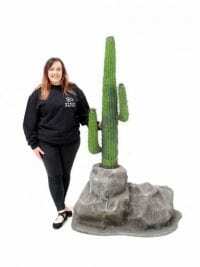 Our 3D textured cactus will look fabulous at any Wild West or American themed event. The cactus comes positioned within its own rock. 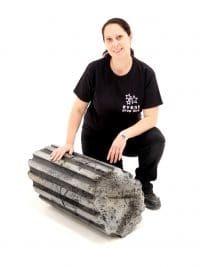 Please note that the smaller independent rocks and Dogtail Grass are available to hire separately (see below). Cafe Bistro Front to hire with working retractable awnings. 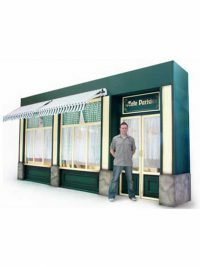 This cafe front is built from flat pack and is not recommended for dry hire unless you have your own onsite crew or request the Event Prop Hire installation service. 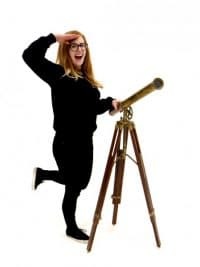 Perfect prop hire for any Parisian or French themed event or party. 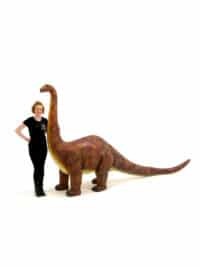 If you would like to customise this prop then please give us a call to discuss your requirements. The last image opposite shows the areas it is possible to customise with your artwork. Canadian National Flags to hire. 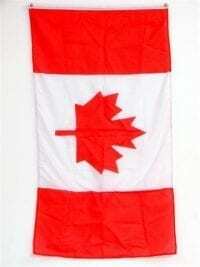 Perfect prop hire and finishing dressing for any Canadian themed party event.